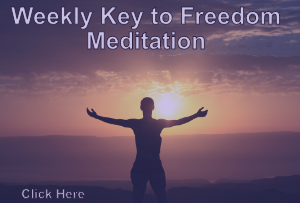 Do you want to know the most important decision you can make that will allow you to make a personal change, manifest something new, and truly move forward in your own spiritual evolution? Willingness. 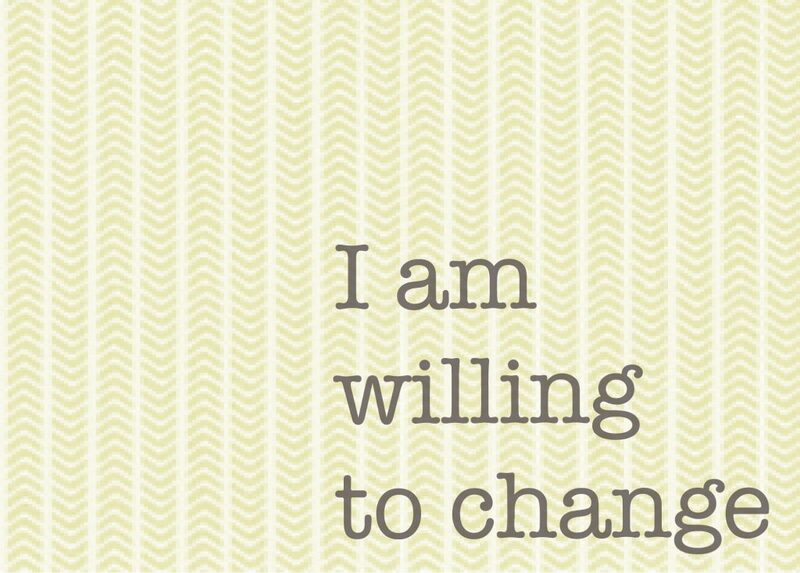 Being willing to change is way more complex than most of us think it is. And it’s where so many people get stuck. There’s this edge between being willing or not, where self-sabotage and resistance dwells; it’s also where spiritual bypassing lives. Spiritual bypassing may be an uncomfortable phrase for you. But it’s so common in the “new age” community. And there is a lot of information floating out there that people interpret as “just think happy, high vibrational thoughts and all will be well.” To me, thinking high vibe thoughts is only part of the story. If you’re not willing to sit with what feels low, that’s spiritual bypassing. Now I know that not everyone out there is working through major – huge – life changes. Some of what they are working on right now may be palpable, yet lesser, levels of growth. There’s not a huge discrepancy between where you are now and where you want to get to. So that high vibe thought is enough to pull you there. There’s not much for you to go looking for, to work through. I tend to see this more when there are cosmic events taking us deeper into ourselves and our awakening. A while back we had a full solar eclipse. It was a huge deal here. It was propelling people into various levels of growth. The energy was palpable. I remember posting about this, talking about how it was asking us to change; to be willing to let a part of us go and step through a doorway into something new. That’s big. That’s intense. There’s work in that. Don’t get me wrong. I am all for the excitement of change. That gets us through the harder aspects of it. But in these moments when the Universe opens us all up to change, sometimes we can think it’s a given. “Hey, there’s an eclipse… it’s going to open us up.” But it doesn’t happen without us being fully willing to feel into what is lurking in the shadow. The universe literally put a huge moving billboard in the sky asking you to please look into your own shadow! I think there is a level of consciousness that is missing sometimes with these big energy-changing events, because nobody I know runs toward their big, massive, life-changing growth without questioning why they can’t just stay curled up on the couch watching Netflix for the rest of their life, instead of growing through things and becoming more visible in their truth. Seriously. If you aren’t thinking about whether you are really willing to grow as you are being asked, then you aren’t working big enough. Now, none of this is to say those of us questioning if we can do this – or want to do this – would ever consider not doing it. But questioning our own willingness is good; really good. It means we are aware of how friggin’ big we are stretching ourselves. We’re being conscious of what is real. So here’s my question to you: Can you feel any part of you gripping the door frame that you are being asked to step through? When you feel the fear, doubt, and resistance, lean into it. Observe it with an open heart and let it unwind. What can you learn by being present to that? Listen in here to learn more about “leaning in” to energy. Just because what instigated your change has ended, that doesn’t mean your process is done. This might not be the most popular statement right now, but honey, your aha-moments are just the beginning. That big shift in energy is just the start of your transformation. Things are just warming up! Relax into the process; there’s no rush or timelines. Work it through. The greater the resistance, the bigger the growth. I don’t know about you, but when I hit those moments of unwillingness and resistance, I remind myself that something wonderful beyond my imagination is waiting for me. It helps! I remember that Spirit has a plan here; I came here to do something. It’s time to do it. Most of us don’t go around saying to ourselves, “I’m unwilling to do ______.” Most people see signs of unwillingness crop up as blocks, confusion, and this awful combination of desire and un-manifested dreams. I know because I’ve been there too. If that’s you, aren’t you ready to shift what’s blocking you? Give me an hour and let’s get you clear on what’s really holding you back and work out the deep energetic stuff that’s probably the real culprit hiding in the shadows. Give me 8 weeks, and you’ll really see some powerful changes in your energy, your mindset, and what you are creating for yourself. Listen in deeply to what is. Is there something that is holding back around all this growth right now? Don’t let it stop you. Be willing to go there, even if it means dropping into the shadow. But Thank you very much for your concern. Tudo isso é muito dificil entender. “ser”, fazer! Com todo esse alarde do eclipse e da lua, não senti nada, creio. Até para meditar também! Estou ainda mais solitária e confusa! Pratico o que devo e sinto no meu coração! Quero a ” mudança”, mas não vejo nada acontecendo, só muitas promessas! I love It ! Right on point ! Bravo !